What happens when Steampunk and an MMO finally collide? 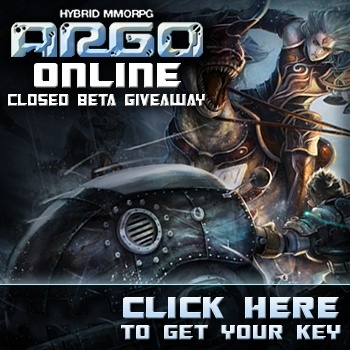 It's called ARGO Online and we have a bunch of closed beta keys to give away so you can try it out! Developed by MGame, ARGO Online is a futuristic, steampunk-themed MMORPG featuring thousands of exciting quests, epic battles with hundreds of players, and a wide variety of PvP modes. Combining classic MMO features like a pet system, unique professions, and auctions with an engrossing background story and a vividly imagined world, players on both continents are sure to be captivated by ARGO Online. Not to mention, you can choose to play as a Steampunk faction! ARGO Online is currently in closed beta but we have 2000 closed beta keys for The Escapist community to give it a try. For all the rules of how to get your key and get playing, click here!